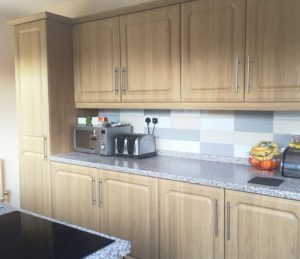 This traditional oak kitchen in Ashton in Makerfield provides a fresh new feel. Matched with contemporary tiling, new worktop, doors and handles. The customer has a bright new kitchen already for spring. Call us for a no obligation kitchen quote.